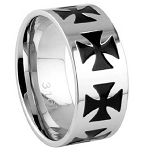 Polished titanium is the ideal metal for this unique men's spinner ring. Perfect for the rugged individualist, a men's titanium ring with a spinning chain can be worn as a fashion ring or a wedding band. 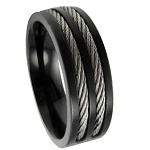 Men love the textural effect of this lightweight 8mm band. 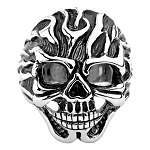 Excellent ring at a great cost. Craftsmanship is amazing, excellent feel and fit. What a great price!!!! I don't usually wear jewelry, but it's a great price for a ring. It fits great and is comfortable. I will be getting more. Thanks. 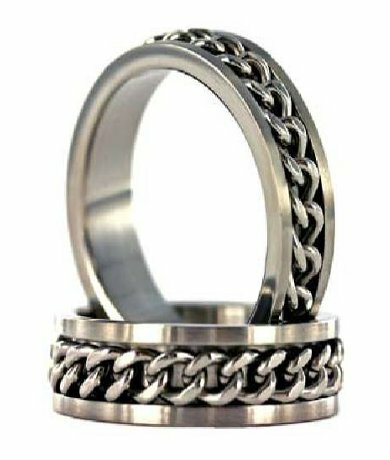 We looked everywhere for a spinner ring in size 15. This one turned out to be just perfect! Love this ring, exactly like the one we lost and can withstand a lot! !